Seeing as this is our first ever blog, we’d like to use this opportunity to give you a quick rundown on what we’ve been up to over the last 12 months. Last December, we made the bold (and slightly insane) decision to put our humble garage-made prototypes through their British Standards paces. To our relief, they passed with flying colours and exceeded all expectations. What originated as back-bedroom geometry and aesthetics, finally became a proven concept. Plus, as an extra bonus, they also became the UK’s first ever crash-tested roof tiles! Shortly before they took on BRE’s ferocious weather, the tiles (and us) suffered a minor car crash on the A40 and came out completely unscathed. It was certainly a lucky escape for the tiles! Christmas is usually the time where we get to relax and take a load off, except last year we were writing our first Innovate UK competition application – and it was tough to say the least. Given the considerable level of detail it required, it now takes poll position on our list of hardest things we’ve ever had to do on our journey to date. The bar of excellence for the national competition is stupidly high – and rightfully so, given the millions of pounds prize funding and level of support on offer. We entered with low expectations and high hopes and thankfully our hard work paid off. We won ourselves a huge innovation grant, becoming one of the lucky few micro companies to get such coveted support. The benefits of having the might of Innovate UK backing us are enormous. We can finally start our 12-month project to fully optimise our tiles and processes and get them BBA accredited and market ready by mid 2018. Yet most importantly, we’re now no longer on our own. We’ve partnered with Swansea University and the Manufacturing Technology Centre to help us deliver the most robust manufacturing solution possible. Better still, we’re collaborating with some of the most talented scientists and engineers in the country and we can’t wait to see what we can achieve. Together we’ll be researching SMART manufacturing solutions, Factory in a Box licensing opportunities and photo-voltaic capabilities. Very exciting stuff. 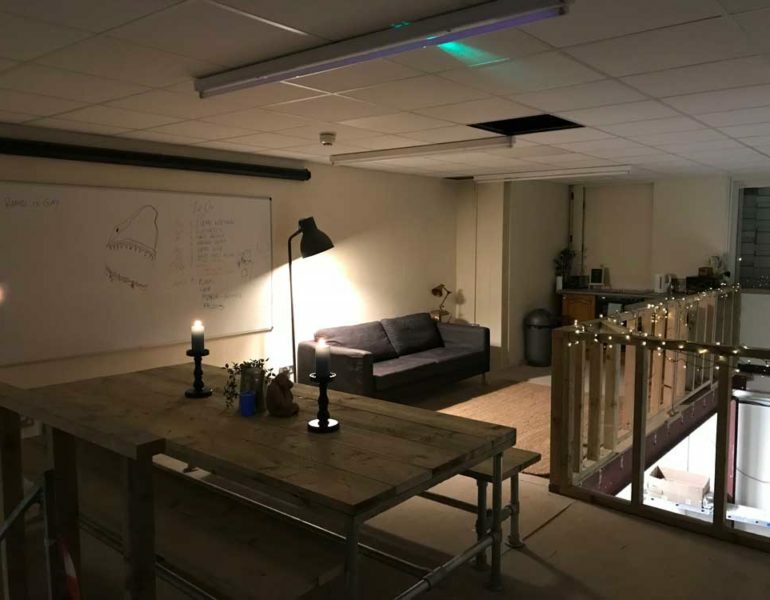 We’ve certainly got a lot to deliver over the next 12 months and thanks to our recent support from the Development Bank of Wales, we’ve just moved into our new premises – a workshop, lab and office space all just 15 mins outside of Cardiff. Our new HQ is already rapidly taking shape, with staff lined up ready to move in and by January we’ll be fully up and running. So, it looks like 2018 is set to be our busiest year yet – with all to play for. Having already received interest from a huge roof tile manufacturer in the States, some major UK construction merchants and hundreds of trade enquiries, we really need to get our skates on and deliver! We hope we continue to get your support throughout our journey, it really does mean the world to us. We’ll be regularly sharing our progress on social media, however if you fancy getting in touch, please do – we’d love to hear from you.